Despite possessing a wildly successful Shaving Soap, Antiga Barbearia de Bairro understands most modern shavers need a variety of options available to them. With the company's Ribeira Porto Shave Cream, a gorgeous, soft foam can be achieved with minimal fuss, containing all the gorgeous aromas of one of Portugal's most impressive barbering regions. 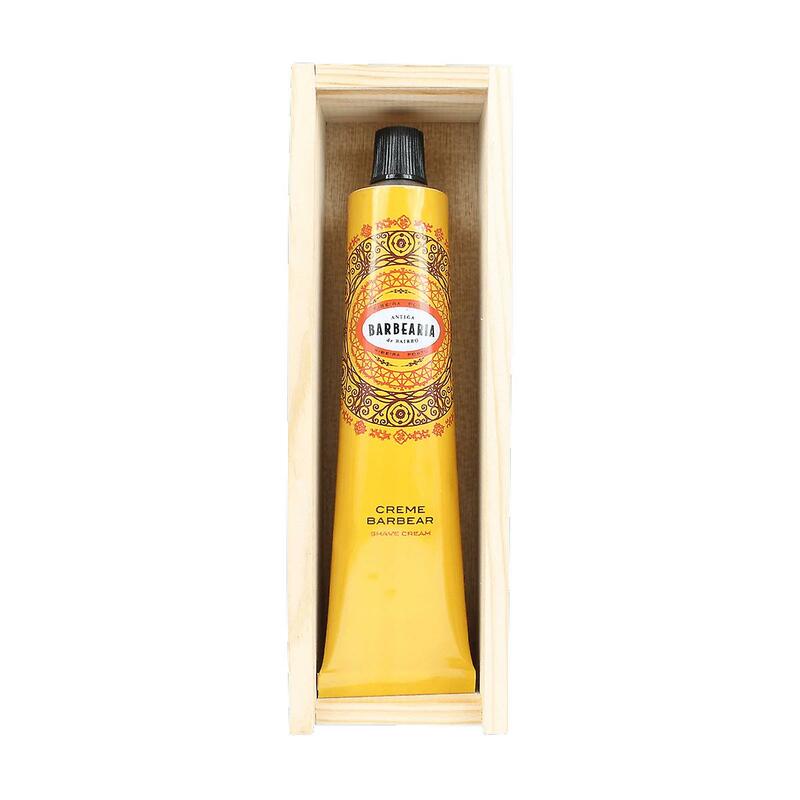 Soothing and calming, the cream also operates as well as the best modern shaving options that don't possess its timeless elegance.Antiga Barbearia de Bairro Ribeira Porto Shave Cream uses a variety of natural ingredients including Pomegranate and Coconut Oil, chosen for their anti-oxidant properties and ability to fend off ageing. Hamamelis Water prevents irritation during the shave and soothes any previously present, with Aloe Vera further aiding reparation of damaged skin. The fatty acids present in Lanolin work as a skin-softening emollient, boosting water retention and reducing the feel of dryness that so commonly occurs after the shave.Wet the beard with warm water. Apply Antiga Barbearia de Bairro Ribeira Porto Shave Cream to the face with your fingers or a brush and lather with warm water.